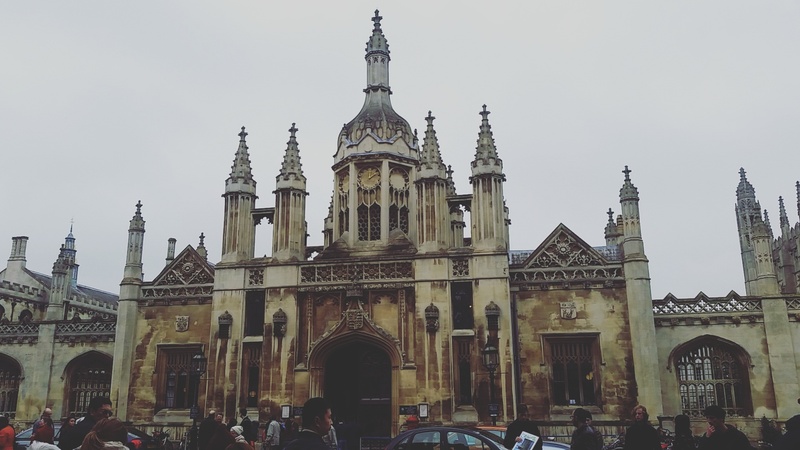 Cambridge was a nice and very welcomed change of pace after a few weeks of being in the busy city of London. With no plan except to walk around and see what we can find and no large crowds of people rushing along, the day was ours to leisurely see what we could do. After walking for almost an hour from the station and around the city centre, we had walked through one open building and were wondering which colleges we could go in without having to pay for a tour. 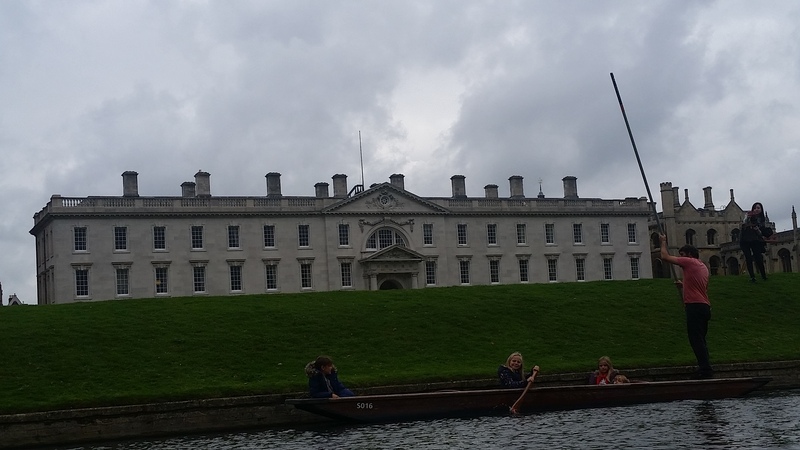 That’s when we were asked if we would like to go punting, an activity that has been at Cambridge since Edwardian times. Sitting in a flat boat, someone pushes you along the river using a pole. You can choose to rent a boat or have someone push you along and give you information on the buildings, bridges and general history of the town. If you want to hear all of the information that the guide has to say, sit in the back, as they don’t have microphones and might not be very loud. 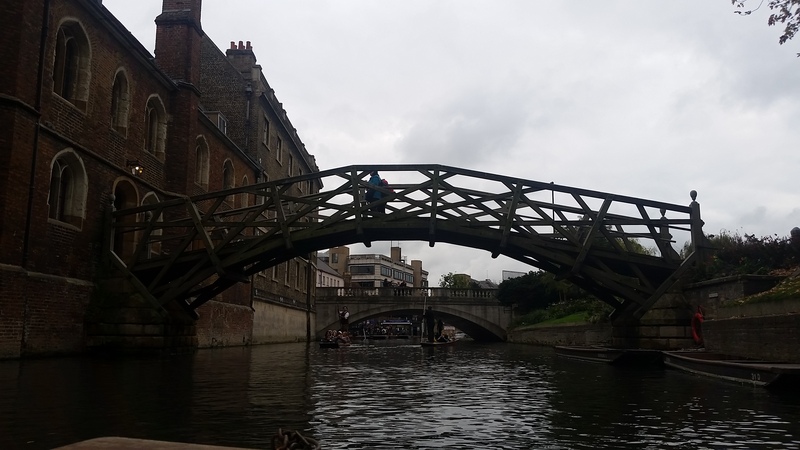 But if you’re fine with just admiring everything while occasionally hearing bits and pieces on some things, feel free to sit in the front.With so many other boats on the water, some being other tourists who were punting themselves, having a guide is a good idea. It is not only a good way to see many of the things along the river, it is a lot of fun and different from standard tours. At the end, we once again decided to walk around to see what else we could find before we had to get back to the station. What we found were some paths to walk down (which are absolutely beautiful in autumn) and many more buildings to marvel at. 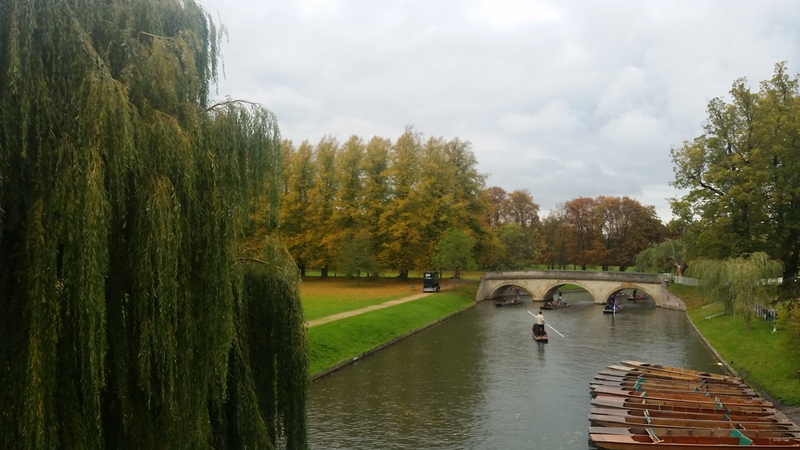 Overall, Cambridge is the perfect walking town with so much to see. You can take tours of the beautiful historic buildings, go punting, just walk through the whole town or check out one (or more) of the museums.